A change in season marks changes in weather, which in turn affects how our skin behaves. As drier months approach, the lack of moisture in the air can make fine lines and wrinkles look more noticeable, and pores look larger. Tackle these signs of aging with the right skincare products to keep your skin looking smooth and youthful as it transitions to the drier weather. 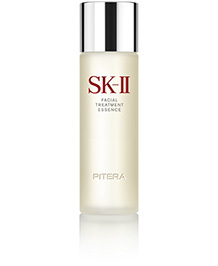 Facial Treatment Essence is a skincare essential no matter what the season or weather. 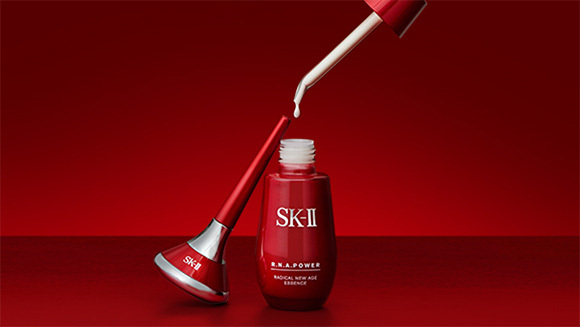 SK-II’s signature essence helps maintain the skin’s natural renewal cycle to tackle dullness and roughness, ideal for when skin starts to lose its summer glow. Facial Treatment Essence also helps skin to retain moisture, which becomes more important in the drier months of the year. With a lack of moisture in the air, dry weather can make signs of aging like wrinkles and fine lines even more noticeable than before. 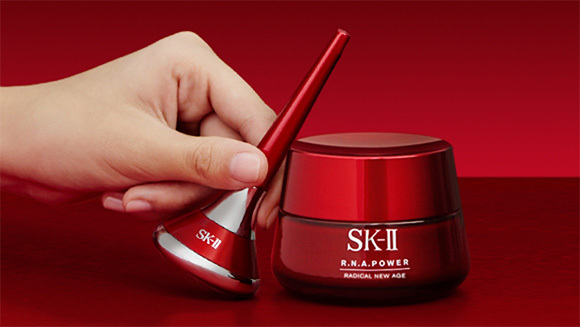 Arm yourself with R.N.A.Power Radical New Age to intensely moisturize the skin while helping it become firmer and more resilient. To reduce nasolabial folds (also known as smile or laugh lines), dot the anti-aging cream around the mouth and nose, then massage gently upwards and outwards. This massaging motion will help promote circulation and lifting to reduce the appearance of aging signs for a more youthful look. In dry climates, you may be noticing a rougher skin texture and more visible pores. Minimize the appearance of pores by washing your face with cold water, or running an ice cube over your skin. Then massage in a dropper-full of R.N.A.Power Radical New Age Essence. The combination of cold water and anti-aging serum will immediately help to tighten the pores and improve your skin's texture for a smooth, youthful look. With the arid air drying your skin out, a little extra TLC will go a long way. 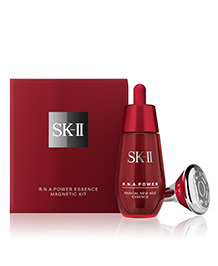 Amp up your skincare routine with the new SK-II Magnetic Booster, a breakthrough vibrating magnetic wand that enhances product absorption by up to 3 times better than finger application. The latest skincare innovation delivers consistent yet gentle pulsations at 7000 rpm vibration with Magnetic MicroPulse Technology¹. Use it with the R.N.A.Power Cream and R.N.A. 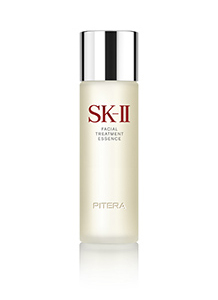 Power Essence to boost up your routine and benefits while pampering your face with a light massage at the same time. It’s crucial not to neglect the area around our eyes, especially in dry weather, as the skin is thinnest and lacks oil-producing glands in this part of the face. 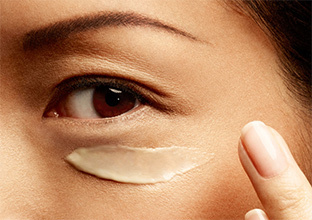 A lack of moisture and firmness can also lead to sagging skin in the eye area, making your eyes look smaller. 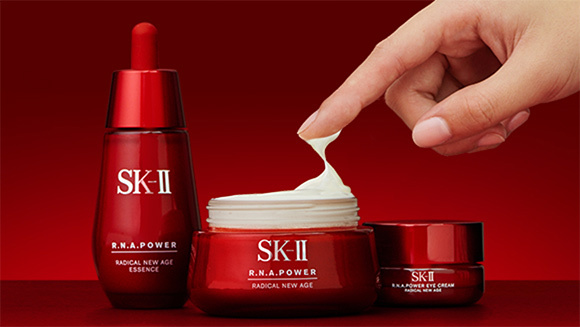 Reduce the sagging around the eyes by applying R.N.A.Power Eye Cream Radical New Age. 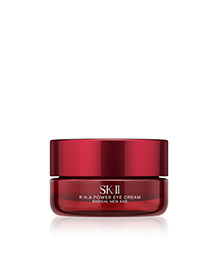 This ensures the delicate area is getting the proper hydration it needs while helping to firm the skin, giving the appearance of youthful and big eyes.